A new season, a new home for Tangerine Dreaming…..
Hello everyone and welcome to the new home of Tangerine Dreaming. You should notice right away that this new site looks different from the old one, however it’ll contain the very same kind of content. 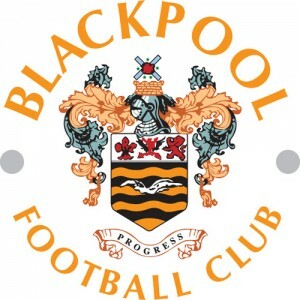 Expect analysis of Blackpool’s forthcoming campaign back in the Championship and the occasional article speculating about where they may go in the future or unpicking trends or aspects of players performances as the season builds to its climax next May. Feel free to browse the site if you like and spread the word if you like what you see. You can access all the key content up at the top, ordered in to categories that should make sense. All last seasons posts are here should you wish to reflect on what has past. Thanks to everyone which has supported the blog since it started last October and hopefully you’ll enjoy what’s to come. If you’re wondering what to expect before the season starts then they will be a couple of articles to set the scene for the new season as well the occasional piece cropping up on other sites. I also want to thank Michael Kinlan for spending many hours working to create this new site. Using his powers of patience as well as creativity trying to bring to together the vague thoughts I had in to a coherent whole. If you want to contact Michael then you can follow him on Twitter here – @mickkinlan. Also, if you’re interested in my off site thoughts about Blackpool FC, football and other things then you can always follow me on Twitter or on Facebook. You can use the icons to the right to track me down on those there things. For now I hope you enjoy this new place and please drop me line below if you have any comments or feedback as it would be good to hear from you.